You can’t be too worried about the safety of your sensitive personal data online. We are living in an age when hacker attacks are a regular occurrence, and you need to do everything in your power to stay safe online. 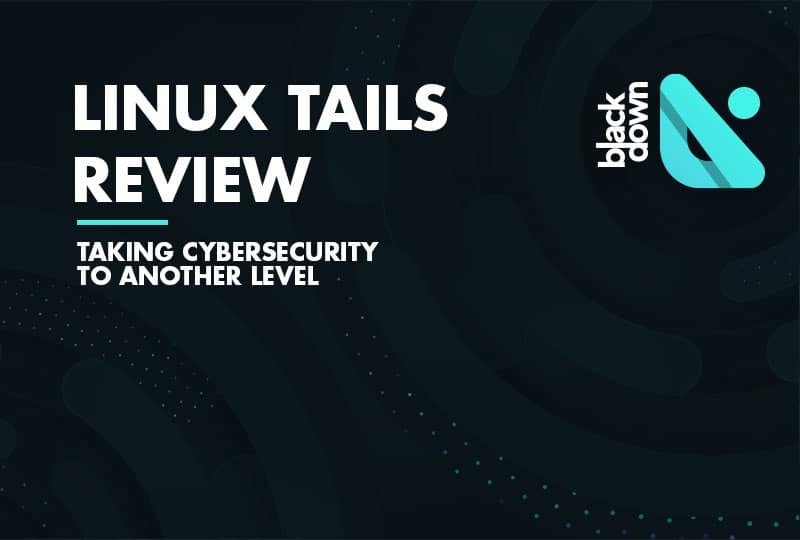 Using the Linux Tails operating system is a proven way of raising your cybersecurity to the highest level. Even Edward Snowden, the guy who leaked documents that compromised the NSA, used this OS to protect his e-mails and data transfers. Let’s make an overview of this operating system and see why it could be a good fit for you. Tails has been around for years, but its creators are anonymous. That only seems appropriate for an operating system that insists on anonymity. The latest version of the OS is Tails 3.12.1, but keep in mind that the system gets regular updates to ensure a maximum level of safety for each user. Considering that its primary focus is on safety, Tails is a somewhat specific Linux distro, especially when compared to other most popular distros available out there. When we call an OS live, that means you can run it directly from a bootable drive, such as a DVD or USB. That means you can run it on any machine in this world and it will work. And we do mean any PC because Tails is not a demanding operating system. An even more important thing is that it won’t store any data on the computer where you are using it. Exceptions can be made only if you ask for them explicitly. Linux Tails allows you to head online via the Tor network and the internet browser of the same name. Tor is considered the safest internet browsing software out there as it keeps you as anonymous as possible online. It is vital to mention that your cybersecurity also depends on your actions, but the Tor network will do everything in its power to keep you safe. Additionally, Tails has a set of encryption features and tools for secure communication over the internet. When you are using an instant messenger or sending an e-mail, these tools will keep the transferred data safe. It is interesting to notice that Edward Snowden relied on these cryptographic features for the sensitive data he leaked. So, if NSA wasn’t good enough to break the encryption, the chances are your data will stay safe, too. Is Tails the Right Choice for Me? Tails is not your everyday operation system, but the newbies shouldn’t have any problems using it. However, if you are expecting maximum security, keep in mind that will also depend on your actions. Even an OS safe like Tails cannot protect you at all times, especially if you make mistakes that leave you vulnerable. Keep in mind that the official website of Linux Tails has all the necessary instructions and documentation on how to use this operating system. We advise you to check out the warnings so that you are aware when the OS won’t protect you. If you feel like you know enough about this system and you still want to install it, follow the simple guide below on how to that. As we already mentioned, Tails is a live operating system, which means you run it directly from a DVD or USB. Everything that this OS needs from a computer is in the RAM space. Installing from another Tails – if anyone you know has Tails, you can easily clone it with a USB stick. Install from Windows – you can download the system from the official website and mount it on USB or DVD to install it. If you are an expert user, you can also consider using a virtual machine to run Tails. Overall, it shouldn’t take more than 30-60 minutes to get your distro to run. What Tools Do You get with Tails? Linux Tails comes with a window manager in the form of Gnome 3 to make the system more user-friendly. When it comes to pre-installed software, we already mentioned Tor for browsing websites. However, it is vital to note that Tor comes with plugins like AdBlock Plus, HTTPS, NoScript, and Torbutton. Apart from that, you will also get a network manager and I2p network. The preferred e-mail client is Icedove while the preferred office suite is LibreOffice. Simple Scan and other safety tools, such as MAT and LUKS, also comes pre-installed. You can also find a password manager and a generator to ensure your passwords are strong. It is worth mentioning that you will also get a default Bitcoin client called Electrum. Those of you that are into cryptocurrencies are surely familiar with that program. Overall, Tails is a useful operating system if you are afraid for the safety of your data or anonymity while browsing online. The very fact it is an amnesic OS that doesn’t leave any trace on the computer where you use it is an excellent feature. Apart from that, encryption features and the safest Tor browser are also included. Working with Tails is also fairly simple, and even newbies shouldn’t have a problem with it. However, keep in mind that only installing this OS won’t protect you. It will increase your initial protection and the chance to stay anonymous, but you also need to be careful and make smart moves to maintain that anonymity.